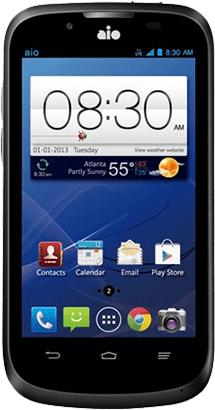 ZTE Overture 3 is no way a cheap or pocket friendly priced phone and thats something that was expected. But there is no need to panic, if you really want Overture 3 but can’t afford it, you can always buy it with a contract from Cricket for a better price. 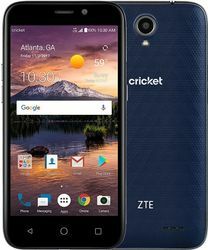 That does cost you less, but on the other hand the disadvantage of buying ZTE Overture 3 in contract is that the Overture 3 is carrier locked by Cricket and you will be stuck with Cricket for the time period of contract. But we can show you a way to sim unlock ZTE Overture 3 and be able to use it in any network around the world. So there are too main safe methods to carrier unlock ZTE Overture 3. One is asking Cricket carrier to unlock your phone. But there are some difficulties and requirements for that and most of the time you end up being disappointed form the carrier. The second method is to get Cricket unlock code for ZTE Overture 3 by third party supplier. The latter is by far easiest and safest because it doesn’t hurt your Cricket Overture 3 in any way and its cheap and permanent. You can also unlock moto g6 tracfone. To get ZTE Overture 3 Cricket unlock code from us you don’t need to fulfill a lot of requirements. You just need the IMEI number of your Overture 3. You can find IMEI of Overture 3+ by opening the dailer app and type *#06#, when you dial this IMEI will appear on the screen. You can also find IMEI number by going in to settings of your Overture 3 and check “about” section. You can read more about finding IMEI of your phone in blog. The other thing required for Cricket unlock code for ZTE Overture 3 is a working e-mail address, to receive unlock code from us. Ordering unlock code for Overture 3 is simple. Just fill out the form by first writing your IMEI number, make sure the IMEI number is 100% correct so check the IMEi number twice or thrice. Then write the email address and your name and checkout on the payment page. After we receive your order, we’ll process your unlocking request and in the time stated we’ll send you Cricket unlock code on your email address.Then just switch off your phone, insert non-supported sim card from another carrier and turn your phone back on. The “SIM Network Unlock Pin” menu will appear on the screen. Just enter the Overture 3 unlock code we’ve sent you and your phone will be unlocked for eternity. You can also unlock moto g6 play boost. Unlocked Overture 3 will attract more buyers and network unlocked phones tend to sell easily as compared to locked phones and brings better resale value. Besides getting good money, you can switch to any network that offers better value for money and have bigger coverage area. Plus you don’t have to pay hefty roaming charges while traveling. We have discussed more advantages of unlocking phone. There are no risks in unlocking ZTE Overture 3 because unlocking Cricket with Cricket unlock code is the legal and official method and it unlocks Overture 3 permanently. You don’t have to change firmware so there is no risk of damaging your phone. We have discussed more about risks involved in unlocking process. Q:Do i have to root Overture 3 to unlock it? A:No, you only need Overture 3 unlock code to unlock. Q:Does unlocking my Overture 3 void its warranty? Q:Does unlocking ZTE Overture 3 effect my contract? Q:Which network will be supported after unlocking Overture 3? A:After unlocking your Cricket Overture 3 you can use any GSM network’s sim from any where. Q:Is unlocking Overture 3 ZTE legal? Buyer need to make sure Overture 3 Cricket is not hard locked and it has attempts to enter unlock code. Buyer need to make sure that Overture 3 is not reported stolen or blacklisted. Why unlock ZTE Overture 3 From Cricket By LetsUnlockPhone.Com? Here at LetsUnlockPhone, you get a 100% money back guaranty(read refund policy here) along with very esteemy customer service. We are specialists when it comes to unlocking any phone with unlock code (such as Cricket, Cricket, Rogers, Fido, Bell, Telus etc) whether you have phone from USA (like Cricket, Cricket, etc) or or Canada (Rogers, Fido, Bell, Telus, Fido, Koodoo, Videotron, etc). The greatest benefit of getting CRICKET ZTE OVERTURE 3 SIM unlock code service from us is that we provide 24/7 support and the code works worldwide. Before ordering unlocking service of Cricket Phoenix Plus kindly check if “Network Unlock Pin” menu appears when you insert the non-accepted network sim in your Overture 3 i.e other than Cricket Network SIM . While ordering unlock code for Cricket Overture 3 please select your current Network Provider you phone is working on, we won’t be responsible for refund if you choose wrong network on order page. We don’t unlock security lock on Cricket or other network’s phones, we only Unlock Sim Network Lock imposed by Cricket or other networks (like Cricket, rogers, fido, bell, telus etc) on your Overture 3.